Chemplast, Vedaranyam, contributed a cheque for Rs 6 lakh on 12 November 2012, for the purchase of land for construction of a community hall at Kodiyakkadu. 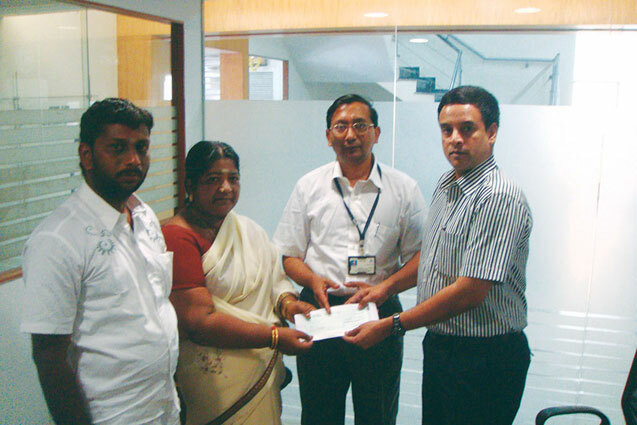 Mrs Bhavani Shanmugam, President, Kodiyakkadu Panchayat, received the cheque. Chemplast, Vedaranyam, donated towards installation of inverter to facilitate uninterrupted power supply to Maternity ward of Government Hospital, Vedaranyam, in December 2012. The contribution was made in the presence of Dr Akbar Ali and NV Kamaraj, MLA, Vedaranyam Constituency.